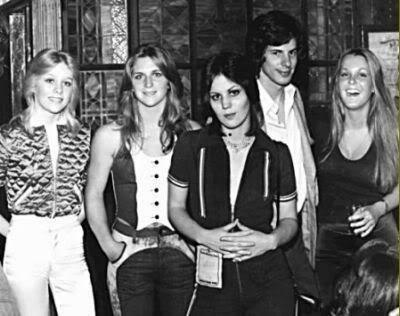 The Runaways <3. . Wallpaper and background images in the Les Runaways club tagged: the runaways joan jett cherie currie lita ford sandy west jackie fox. This Les Runaways photo might contain rue, scène de ville, milieu urbain, ville, scène, urbain, cadre, and mise en scène de rue. cerise Bomb/Is it jour ou Night?